The Independent Living Centre is a charity based in Semington, near Trowbridge, offering free and impartial advice to older and disabled people living in Wiltshire and BaNES. 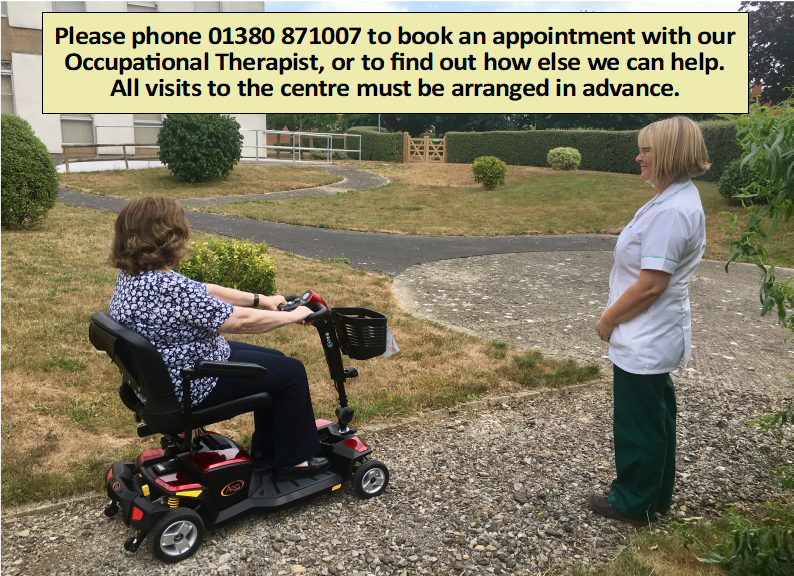 We have the entire ground floor of an old hospital building, (click here to see the history of the centre) with a vast range of different mobility equipment available for assessment with our Occupational Therapist. No referral is necessary to book an appointment, and all assessments are tailored to your own specific requirements. We do not sell or provide the equipment demonstrated, so there is never any worry about feeling pressured to buy. We do have a limited Medequip retail shop on site where you can purchase smaller items such as grab rails and cutlery if required. Unfortunately we are unable to offer home visits, but we can give advice over the phone, email, or post information packs out. We are also happy to give information to carers, family, friends and professional staff. Our Benefits Adviser works two days a week and can advise on disability benefits, help complete forms, and aid with appeals. We also offer wheelchair hire, and have a library of information on things such as accessible holidays and days out. Click here or follow the navigation bar above to find out more about the ways we can help.